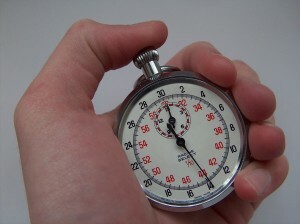 Special Episode – How To Solve Business Problems When The Clock Is Ticking? Marketing should NOT be your number one business activity. Listen to today’s show and I’ll tell you why. Your business has problems. Some are more serious than others. Some can put your entire operation at risk. Others are just a hassle, but not life threatening. Within the last 48 hours I’ve been involved in a few serious conversations where focus was lacking because the problems seemed so daunting. Not life threatening, but it made me think of all the small business owners who do face life and death. Every day. It prompted today’s special episode. I hope it provides some inspiration and direction for you. When the clock is ticking…we’ve got to do something. The something that we choose is critical to our success. Choose wisely. Act quickly. Focus on the things that matter most.